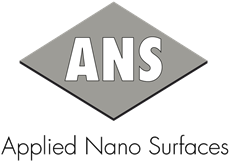 ANS won the Industrial Sustainability Prize 2009, in the category “Best Research Project”. The project is a joint research project between ANS, Uppsala university, Volvo Powertrain and Scania. Read more about the award at the chemicalnet.se website (in Swedish). ANS was listed as one of Sweden’s hottest high-tech companies in Sweden 2009 by NyTeknik and Affärsvärlden. Read more about this award in NyTeknik (in Swedish)in Affärsvärlden (in Swedish) or watch the movie on YouTube (in Swedish). ANS won the prize as the most promising cleanTech company at the Investment Forum, a contest at The Swedish National Energy Convention 2009. The Prize was awarded by a high level investment jury consisting of Malin Nordgren (IKEA GreenTech AB), André Heintz (Sustainable Technologies Fund), Lars-Olof Bäckman (Spiltan), Tobias Elmquist (Volvo Technology Transfer) and Per Ericsson (ETF). ANS was awarded the VINN-NU grant of 300,000 SEK from VINNOVA. 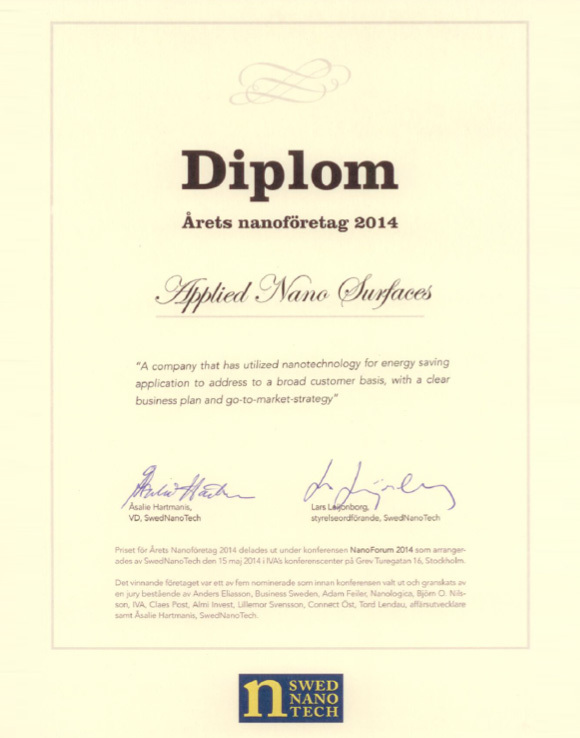 Applied Nano Surfaces’ CTO, Nils Stavlid, is awarded “innovator of the year” in Uppsala for his ground breaking research in Tribology. Nils is also nominated for the SKAPA prize (sweden’s largest innovation prize in the memory of Alfred Nobel). ANS wins 2nd prize in Sweden’s biggest cleantech competition: Miljöinnovation 2008. Read the jury’s motivation here.